Diane is an experienced scriptwriter, showrunner, script editor and producer. She worked as development producer and head writer/showrunner on Series 1 and 2 of the RTS and BAFTA nominated hit gothic teen drama, HOUSE OF ANUBIS, which Lime Pictures and Studio 100 produced for Nickelodeon US & UK, spun off from the top rating Belgian series. She also wrote a feature length special of the show along with episodes for Series 3. She has worked with Studio 100 on a number of other feature and TV series ideas. Her previous work includes writing and producing for Granada Kids on shows such as GIRLS IN LOVE, THE WORST WITCH and 24 SEVEN as well as writing on BAFTA nominated series TOPSY AND TIM. 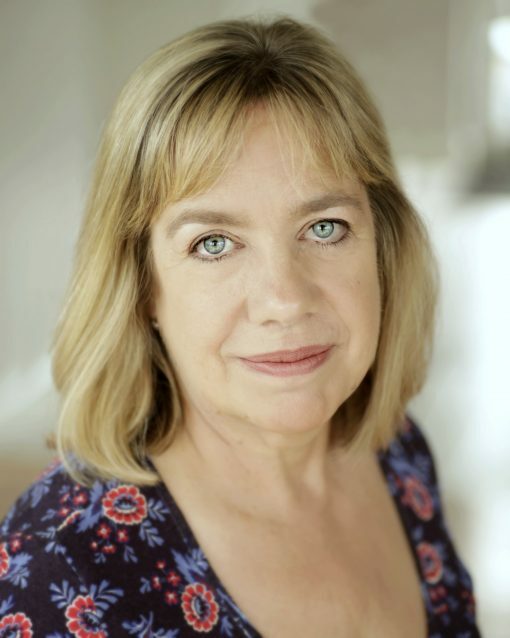 Di has a number of original series ideas in development and recently won development finance from Creative England to develop a book to film adaptation of GIRL, MISSING by Sophie McKenzie, which she will write and produce. She co-created CBBC’s drama series WORLD’S END, and teen mystery series HOTEL EVERMOOR for Lime Pictures/Disney. Diane has written multiple episodes across all series of the BAFTA-nominated CBBC drama JAMIE JOHNSON, and has recently worked on popular pre-school animated series PJ MASKS. She is currently head writer on HUNTER STREET Series 3 for Blooming Film TV & Nickelodeon. Commissioned to write 2 x 11' episodes. Commissioned to write 1 x 30' episode. Commissioned to write 2 x 30' episodes for new ten part kids drama series. Original drama series commission of 36 x 15 minute episodes broadcast in April and May 2015. Co-devised and co-written with Danny Spring. Commissioned to write one script of this new pre-school live action show. Co-created teen mystery drama which ran for two series on the Disney Channel. Kids/teen comedy/drama projects under option and developed. Development Producer and Head Writer/Showrunner on Series 1 and 2 of the hit rating new gothic teen drama series which Lime Pictures/Studio 100 have produced for Nickelodeon US & UK. Commissioned to write five scripts for series 3 as well as a feature length special episode. Based on the Belgium and the Netherlands hit series which has run for six seasons. Producer of pilot episode for new children's series. Later Development Producer for CBBC series. Adult drama series developed with Kieran Roberts. Writer on Series 1 & 2. Series Producer Series 2. Series Producer series 1. Writer series 1 & 2. Shortlisted for Prix Jeunesse. Co-creator, writer and Series Producer. Di has optioned the film rights to this book written by Sophie McKenzie and the film is in active development with funding from Creative England. She is writing the screenplay and will produce. Co-writer. Cinema release in 1996. *Winner of Valencia Film Festival. Helped the Youth Theatre to devise the play and co-directed. A stage play specially written for Youth Theatre. Wrote this stage play for a professional rehearsed reading. Children's six part thriller. Commissioned, produced and broadcast by BBC Radio 5, then repeated by Radio 4. PJ MASKS Series 3 (2017-18) Frogbox/eOne/Disney Commissioned to write 2 x 11' episodes. THE WORST WITCH Series 2 (2017) CBBC Commissioned to write 1 x 30' episode. JAMIE JOHNSON (2016) Short Form Film Company /CBBC Commissioned to write 2 x 30' episodes for new ten part kids drama series. WORLD'S END (2013-15) CBBC Original drama series commission of 36 x 15 minute episodes broadcast in April and May 2015. TOPSY AND TIM (2013) Darrall Macqueen Commissioned to write one script of this new pre-school live action show. HOTEL EVERMOOR (2012-13) Lime Pictures/Disney Co-created teen mystery drama which ran for two series on the Disney Channel. UNTITLED (2012-13) Lime Pictures Kids/teen comedy/drama projects under option and developed. HOUSE OF ANUBIS (2009-12) Lime Pictures/Studio 100 Development Producer and Head Writer/Showrunner on Series 1 and 2 of the hit rating new gothic teen drama series which Lime Pictures/Studio 100 have produced for Nickelodeon US & UK. Commissioned to write five scripts for series 3 as well as a feature length special episode. GALAXY PARK (2010) Studio 100 Development Work. BEAR BEHAVING BADLY Series 2 (2008) Darrall Macqueen Pre-school series script commissioned. KATIE'S PICTURE HOUSE (2008) New Moon TV & Channel 5 Pre-school series script commissioned. JINX (2006-7) Kindle Entertainment /Nickelodeon Producer of pilot episode for new children's series. Later Development Producer for CBBC series. GROWING PAINS (2007) Granada TV Adult drama series developed with Kieran Roberts. GIRLS IN LOVE (2005-07) Granada Kids Writer on Series 1 & 2. Series Producer Series 2. 24SEVEN (2002-04) Granada Series Producer series 1. Writer series 1 & 2. Shortlisted for Prix Jeunesse. BIG MEG LITTLE MEG (2000-02) Granada Co-creator, writer and Series Producer. GIRL, MISSING (2013-18) Creative England Di has optioned the film rights to this book written by Sophie McKenzie and the film is in active development with funding from Creative England. She is writing the screenplay and will produce. PROTECT ME FROM WHAT I WANT (2007) UKFC/Screen Yorkshire Producer of short film. BOSTON KICKOUT (1995) Boston Films Co-writer. Cinema release in 1996. LEADBELLY BALLING THE BLUES (1995) One-Step Theatre Company Stage play - Producer/Director. OUT IN THE CITY (1992) Contact Theatre Helped the Youth Theatre to devise the play and co-directed. CASTLEHILL (1992) Contact Theatre A stage play specially written for Youth Theatre. A QUESTION OF GUILT (1990) Lyric Hammersmith Wrote this stage play for a professional rehearsed reading. CRIMEWAVES (1994) BBC Radio Children's six part thriller. Commissioned, produced and broadcast by BBC Radio 5, then repeated by Radio 4. CASTLEHILL (1994) BBC Radio Radio 4 Play.